This was quite frankly one of the best events I think I’ve ever done! Definitely a Type 1 fun kind of day – the kind of event that makes you realise just how much fun really hard events can really be. 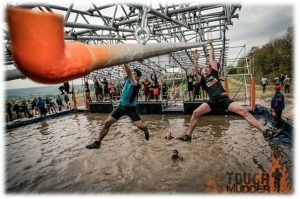 If you’ve never heard of Tough Mudder they organise mud run events throughout the country. Think of a 12 mile cross country run with lots of really fun obstacles and you’re about halfway from the truth. Add in thousands of people who are all in together, a huge sense of camaraderie, an enormous sense of teamwork and several hundred tons of mud and you’re about bang on! I’m lucky enough to be sponsored by 9bar who also sponsor the Tough Mudder events. This meant I was lucky enough to get free entry to the Midlands based event at Belvoir Castle. Honestly, having looked at entry prices beforehand I would have baulked somewhat, but having completed it, I would gladly pay full price for my next one! Lizzie and I got to the event on Sunday morning, ready for a 12:15 start. We found the 9bar guys handing out samples and I dumped my kit off and got changed into my 9bar branded tri-suit (with a base layer underneath). I decided to go for a tri-suit as I first wanted to represent my sponsors out on the course, second cos I didn’t have any decent running kit both suitable and clean, and third – well, I think I look rather good in Lycra! I really didn’t know what to expect from the course, but decided a “Go hard or go home” approach would probably work well! The queue dropped remarkably quickly and I was only standing in line for around 20 minutes before I was in the warm up area, getting ready to head out. The warmups were run by Virgin Active and were good in psyching you up if nothing else! I also was lucky enough to meet James Gill of Titanium Geek in the warm up area and we agreed to run round together. I should note here that James is an accomplished runner. I sadly, am not. We both headed out on the course at a fairly robust pace, being fairly quick to say the least. 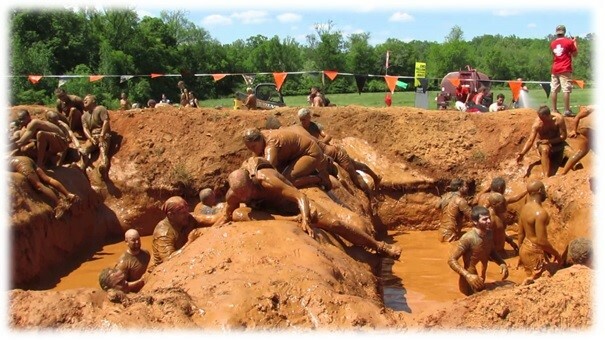 The course started innocuously enough with several short obstacles before being chucked into mud, tubes, barbed wire, huge pits full of mud, crawling through tubes into mud, running through mud and, well, mud. I also decided that if I was going to get muddy, I would damn well get muddy. 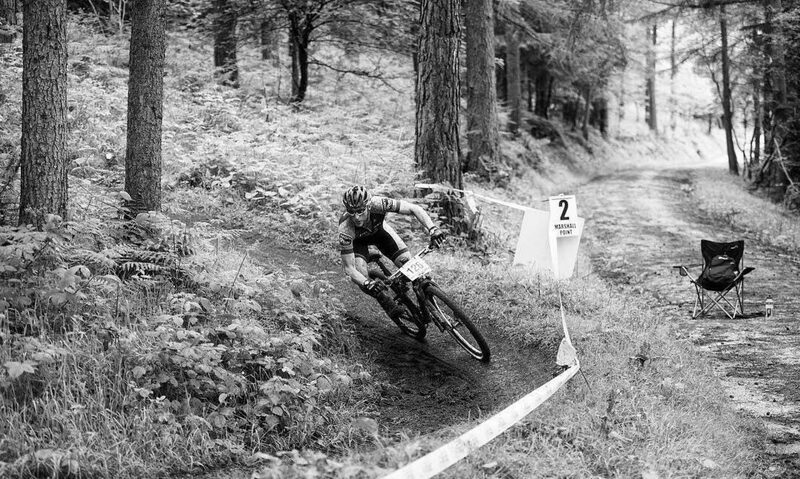 When it came to climbing into and out of the muddy pits, I discovered rather than try and slide down a slick slope it was a lot easier to simply jump in, covering myself and everyone else in wet sticky mud! What was a real highlight was being able to have something to eat on the way round – major props to the volunteers handing out the 9bars and cups of water – I think I used more water washing out my eyes than I actually drank! Although, honestly, I can’t remember a huge amount except how much fun it was. 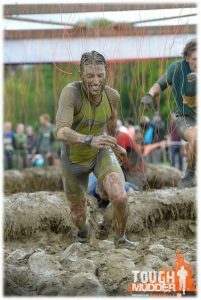 The real highlights were a few obstacles that stick out – the Block Ness Monster, Arctic Enema, Mud Mile 2.0, Everest 2.0 and The Liberator. The Liberator was where I managed to lose James. Up until that point we had been running together, and he then decided to go through the Legion side whilst I went through the plebeian side. I waited for a while on the far side, decided he must have already headed off and went off chasing after him. After running for 20 minutes or so I came to the Arctic Enema where James eventually caught up to me – turns out he had been chasing me! I was super glad to have him back though, I’d really missed having a running buddy for that time! Everest 2.0 was cool, simply because you had to have help and had to help people to get over it – imagine a super-sized quarter pipe and that’s probably about right. Arctic Enema was cold. Really really cold. Lastly, the Block Ness Monster was my favourite obstacle of all. The only way to complete this was to start off by pushing other people over before hanging from the other side in order to get people over. It was amazingly good fun, and I gladly would have gone round again just to do it one more time! James and I managed to complete the course in 1 hour and 48 minutes moving time, which for me is an incredible time for a 12 mile cross country run. I have already signed up to do another one in Chester, I hope that you get the chance to do one soon!